Thank you for choosing our office for your dental care needs. 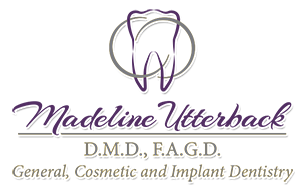 Madeline Utterback, D.M.D. is a Fishkill, NY dentist who would love to provide you with the smile of your dreams. Our primary mission is to deliver high quality oral care with compassion, careful attention and deep personal respect. To focus on you. We schedule only one appointment at a time so there is no double booking. Our staff is trained to bring you the best possible dental care. To be honest. We only recommend treatment for out patients that we would have ourselves. To be respectful. We base our success on the quality of relationship we have with each patient, not just the quality of the dental service we provide. To be responsible. We use only the best materials and outstanding dental labs. Our instruments go through sterization in a steam autoclave that is tested regularly. All services are rendered with the latest techniques available reflecting our commitment to continuing education courses. We also recycle in order to be gentle to our enviroment. If you have any questions please call us at (845)897-5140.